Despite the gains women have made over the past few decades, ‘liberation’ hasn’t always panned out to be liberating. These beliefs and judgments we hold onto as result of childhood issues, socialization, influences by the media, politics and religion, etc. In a nutshell our ‘Gremlins’ are perspectives that have helped to mold us since birth. Some of these outlooks are healthy and useful, but others are not, yet we continue to clutch onto them as if our very life depends on them. We are all unique, in our perceptions, attitudes, feelings, experiences, and history. There is no one just like us in the world. There never has been an exact duplicate of us, nor there ever one. Differences make life interesting, and yes, challenging. Dealing with other people who see life differently makes for interesting relationships. Differences give life it's opportunities for growth, insight, and awareness. The unfortunate thing is that these differences can often lead to unmanaged or unresolved conflict, stress, and disappointment. People who live happy lives accept the uniqueness of individuals. They are not on a mission to change them, correct them or invalidate them. Happy people understand that everyone is on their own path throughout life doing what they need to do in order for them to fulfill their destiny. 3. 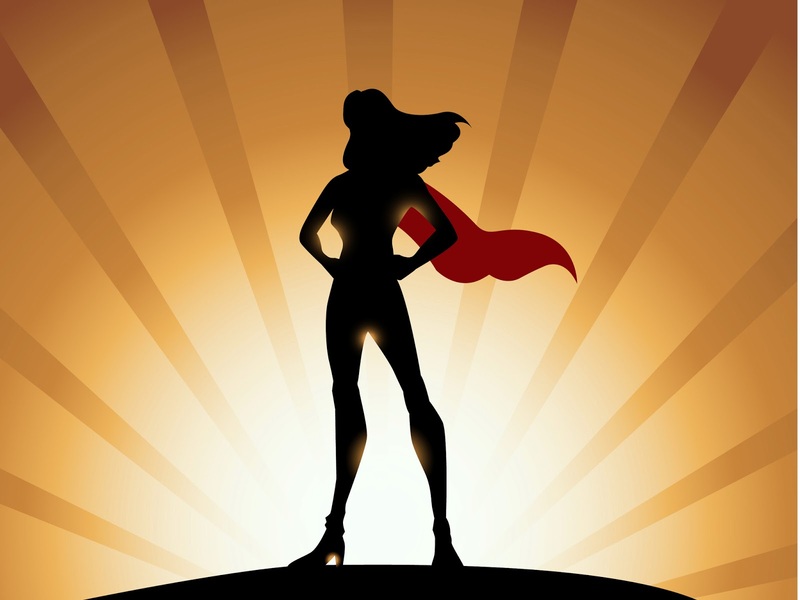 Ditch the Superwoman Syndrome. This syndrome is adding unnecessary stress and sickness to our lives. We place such unrealistic expectations on ourselves. The guilt we feel often fuels this Superwoman Syndrome. Start letting go of your mental chatter; practice saying No and remember no one's life is perfect. We need to take Superwoman off the pedestal and start putting a more realistic, imperfect, yet happier women up there. 6. Get yourself a pair of rose colored glasses. Having a healthy perception of life and a positive attitude is one of the best self care strategies you can practice. It is universal laws that what you focus on expands so what are you focusing on? Is your glass always half empty? Do you complain about everything and everybody? Take some time to see what your inner chatter is saying. Then consciously take steps to changing your thoughts and seeing the glass as half full. A daily reflection of gratitude and appreciation goes a long way toward improving yourself care, yourself worth, and your whole life. I acknowledge, all women, who on a daily basis… are showing up, participating, engaging in the present moment. Take an opportunity to acknowledge yourself for the many big and little things you do. Honor yourself from a place of kindness and gentleness. We do what we know to be the best at the time. Forgive yourself when needed and celebrate yourself whether you think you need it or not. We all deserve to be celebrated. Here's to you...Cheers!! !